Marriner Ballroom Dance opened each act with a formation. Here's the second act of the night. The third and final act will be coming tomorrow, followed by the complete album on Monday over at our Facebook page. Anneli Dudley and Seth Synovec, Ashley Jameson and Joe Dickey, Ellen Dudley and Stuart Brutsche, Katie Kangas and Jason Tyler, with a Foxtrot Formation. Jim Brendle with Kim Dondlinger performing a Country Cha Cha. Pat Schmieding with Alex Stidham, performing a Bolero. 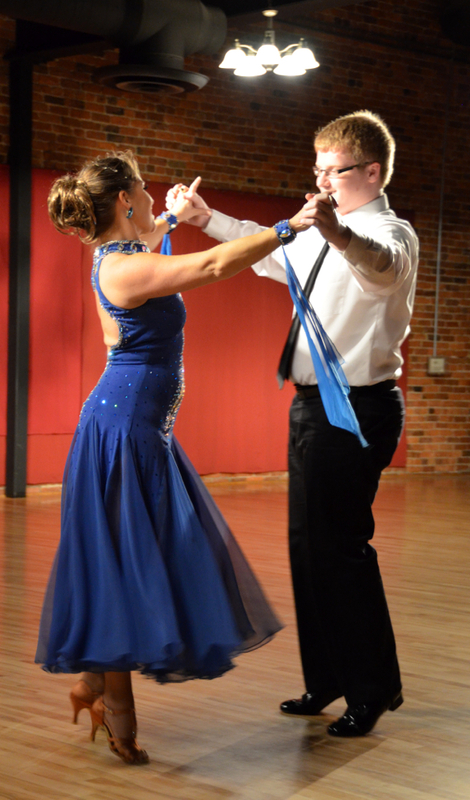 Chris Thomsen and Katie Nieland performing a West Coast Swing and Rumba medley. John Riggs and Shelley Fritz closed Act II with their Cha Cha and Swing Medley.